Offers design, promotion, maintenance, publishing, and hosting services for small businesses. Located in Waunakee, Wisconsin. Includes project information and links to city information. SiteBook Waunakee City Portrait of Waunakee in Wisconsin. 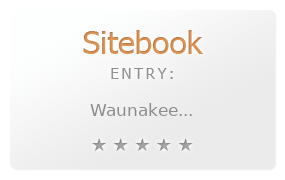 This Topic site Waunakee got a rating of 3 SiteBook.org Points according to the views of this profile site.